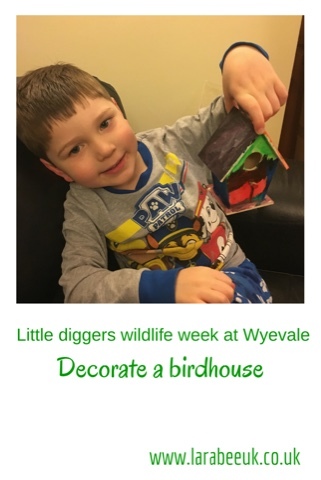 During half term, Wyevale garden centres held small events for children aged 3-8 to make or do based on a gardening theme. 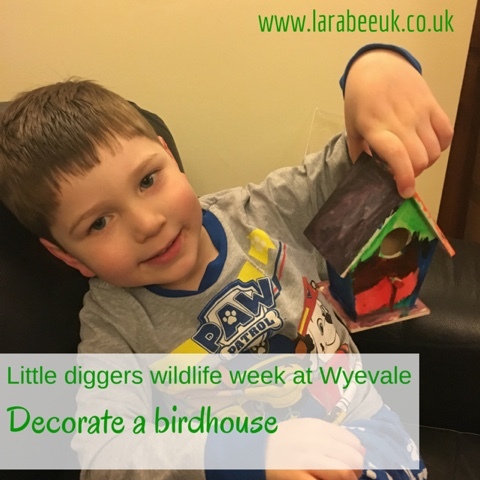 We were invited along to try out one of the Wildlife week sessions. 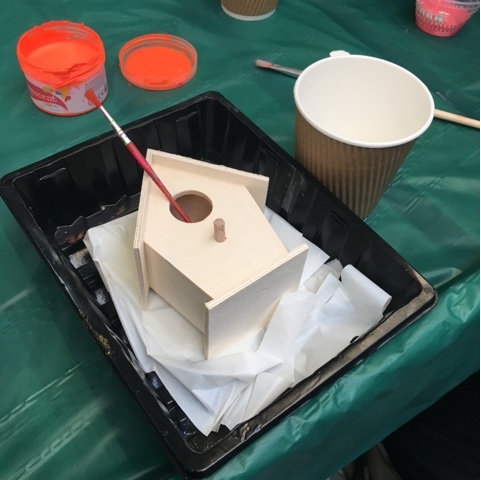 Events ranged from cupcake cooking to bird one feeders, we attended the decorate a birdhouse session which was a bargain at £2.50. 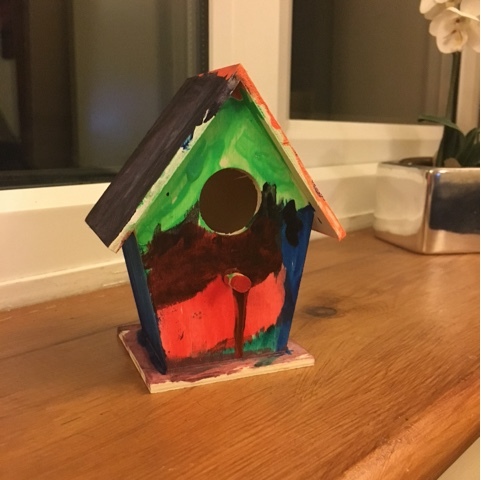 Each of the birdhouse sessions were supposed to be 15 minutes long but we found that they were really over-running, this wasn't a problem for us though. 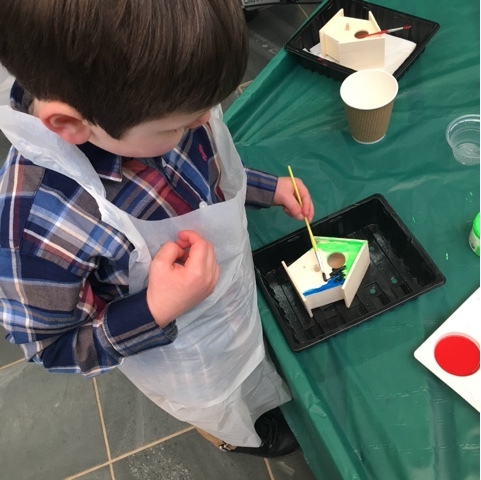 Each child already had a little 'station' set up ready for them, containing, their birdhouse, an apron, paintbrush, small cup of water and a small mixing pot (not shown above). There were various paints around the table for the children to share. I'm not entirely sure what look T was going for with his colours, he just went for a bit of everything and then mixed up a rather delightful shade of mucky purple with some gold glitter thrown in for good measure! The children we saw were mostly T's age I'd say with a few reception and year 1. We had a lovely time and will definitely look out for these sessions again, it was a really nice thing to do and a real bargain at £2.50. Disclaimer: we recieved free entry for this session in return for our honest review.